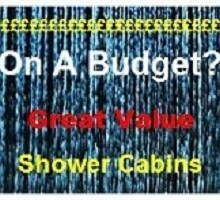 Just because you’re may be on a tight budget, doesn’t mean you don’t have plenty of options for owning a high quality shower cabin. 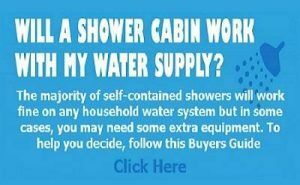 In fact, choosing one of the best shower cabins is often much cheaper than separately purchasing the tub or tray, showerhead, mixer and tiles. This is especially true once you take into account the additional time and labour costs that tiling requires. Plus, not only do shower cabins usually look much more attractive, they also don’t suffer from the common problems of leaking and such. So, if you’re looking to replace your shower, but don’t want to spend an arm and a leg to do so—here are some excellent budget shower cabin options, that might be perfect for you. If you’re looking for a quality corner shower cabin and don’t care too much about getting one with all of the fancy bells and whistles, the SP31C is definitely an outstanding choice. With an entry level price starting at £479.00, this is probably the lowest priced quadrant shower enclosure you’ll find; offering all of the same showering benefits as higher priced models—just without all of the fancy gadgets. Better yet, as it doesn’t contain any electronic features and only a basic mixer type temperature control, it is not only cheaper, but also much quicker to install, easier to keep clean, and you can be sure that it will never leak if correctly assembled and installed. Moreover, this enclosure is available in both 800mm and 900mm models, and the classy white aluminum frame finish, means it is sure to look beautiful and fit in perfectly with almost any style of bathroom décor. 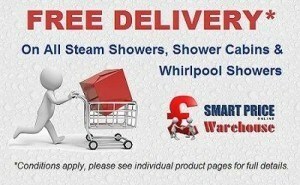 Still, you could be forgiven for thinking that this is just an ordinary shower considering its low cost. However, you couldn’t be further from the truth as the SP31C features not only a standard shower head, but also ten ultra-relaxing hydro massage back jets, a handy mirror, three shelves for storing all of your toiletries and 5mm tempered safety glass. All in all, you probably won’t find a better shower for the price. The Alto range is another outstanding choice for a low-cost corner shower enclosure from a brand you can trust. The Alto is available in three different quadrant models—the 800mm x 800mm Alto 01; 900mm x 900mm Alto 02 and 1000mm x 1000mm Alto 03; plus the elongated 1200mm x 800mm Alto 04—all of which are excellent budget friendly options. If you have the extra room, it’s definitely recommended that you go with one of the larger models, especially considering that all of the corner models (01, 02, and 03) cost much the same at under £550, while the even larger elongated Alto 04, will only set you back an extra £50. Although open at the top, these enclosures offer all of the same excellent features as the SP31C listed above, but with a number of additional options, thus making them a great choice for those who are willing to spend a bit more, to get a lot more. For starters, instead of the white acrylic interior, these Alto models come with a glass interior and is available in your choice of Polar White or Carbon Black. The addition of the glass makes these units not only much more rigid and durable, but also means they look much classier as well. Furthermore, instead of the standard mixer control, the Alto models feature thermostatic temperature controls that allow you to regulate the heat of the water much more precisely. What’s more, in addition to the multi-function hand shower and body jets, these models also feature a luxurious monsoon overhead shower, optional drop down seat, beautiful chrome finished accessories and come with a full 1 year parts warranty—guaranteeing you’ll be getting a great shower enclosure for an even better price. If you’re looking for a low-cost shower enclosure, but want something with a few more high-tech features, then you definitely need to have a look at the GT9015 from the trusted manufacturer Insignia. Not only does this fully enclosed shower cabin contain most the same excellent features as the units listed above—including monsoon showerhead, body jets, thermostatic control, built-in seat, etc—but it also comes with a built-in FM radio and LED mood lighting. Of course, it also comes with Insignia’s industry leading 5 year warranty, so you know it’s built to last. Best of all, at a price of only £519, you probably won’t find a better shower cabin with so many features, for such an incredible cost. Finally we come to the GT8722 from Insignia—modeled after their best selling steam shower, the GT0509, this 1500mm x 900mm rectangular enclosure features everything that the GT0509 does, just without the steam feature. If you’re looking for something that’s a bit more spacious and offers all sorts of high-tech features, this is definitely the model for you. It comes with virtually all of the same features as the GT9015, except with a mixer control instead of the thermostatic. However, this model also features not only the built-in radio and mood lighting, but also an extractor fan and a fully integrated LCD touch screen control panel that controls it all. The tinted glass doors and chrome plated accessories ensure this enclosure looks beautiful and stylish in any setting, while the magnetic door closure guarantees that you’ll never have to worry about leaks. Of course, you can expect to pay a bit more for this self-contained shower unit due to its larger size and additional features; but at less than £700, this is definitely our choice for those looking for a high quality, larger enclosure with all of the features you could ever need. 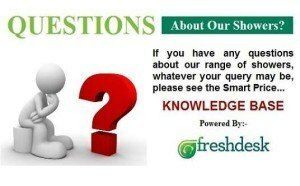 Please the main Smart Price Warehouse website for more details.